I come from a long line of folks with limited attention spans. Once, a friend of mine pointed-out that my family never let me finish a sentence at the dinner table. “I felt bad for you,” he said, “They just kept cutting you off. You never got out a full sentence.” He was one of my best friends in college, and had the displeasure of accompanying me to my parents’ house one weekend. Nowadays, the toxic psychos are out of my life, but the ADD residue lingers. A neighbor once witnessed me cleaning my apartment. “You clean with A.D.D.,” he said. When youre going through a divorce, commuting long hours to and from work, and working in side projects for extra cash, theres a good chance that focusing on one task wont be your forte. Gotta cut yourself a break, really. You’re doing the best you can. I hear that! I’m more ADD-ish when I’m exhausted. I love that scene in up. It describes my life. 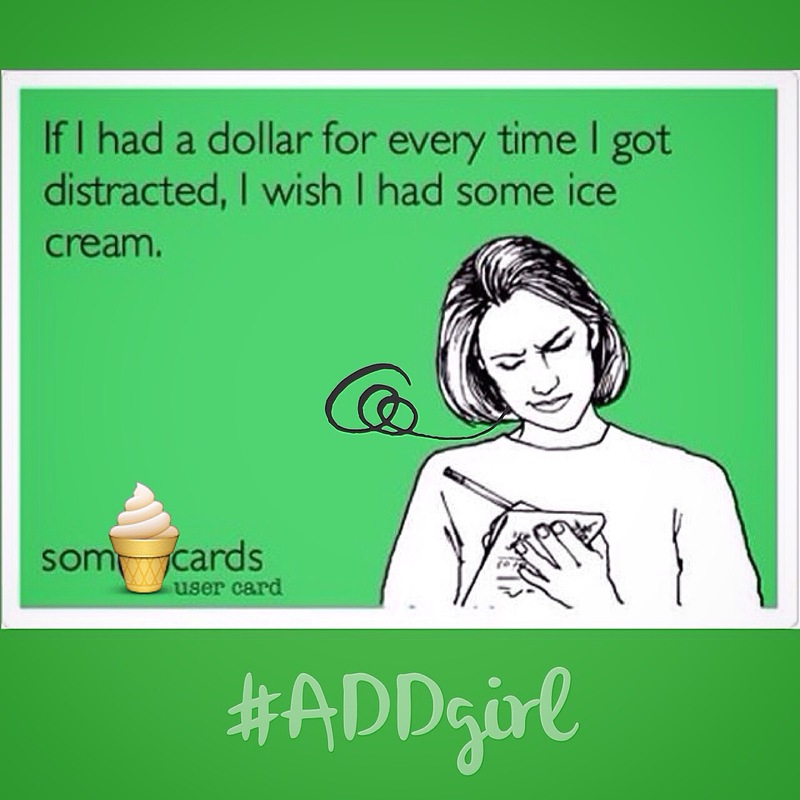 I never seem to get anything done either. When I am having a bad day, my ADD is much worse.